What a torturous and circuitous route Sleeping Dogs has taken to finally land on retail shelves. First called Black Lotus, and started almost straight after Vancouver-based United Front formed, the stewards of the studio, Activision, decided the game might sell better with more brand name recognition. So they attached it to the True Crime series, which ended up being a mistake when the first game in the planned franchise didn’t sell too well. This had a trickle-down effect on True Crime: Hong Kong as it was being called, and eventually the game was cancelled by Activision. Enter Square-Enix, and suddenly the game is back on after all, only now it’s called Sleeping Dogs, and you know what? Even if Activision wasn’t confident about the sales numbers, they should have had more confidence in the game itself. If you’re old enough to remember the wave of Hong Kong cinema that caught the West by surprise in the 90s with an influx of names like John Woo, Yuen Woo Ping and Chow Yun Fat, then you’ll be right at home with Sleeping Dogs. The story centers around Wei Shen a Chinese cop who has returned from America to Hong Kong. He’s had a score to settle with organized crime ever since the drug-related death of his sister. Now, as a volatile yet promising Asian-American cop with the San Francisco police, he’s been loaned to the Hong Kong department to use childhood connections with the current crop of up and coming Triad bosses to go undercover and get deep into the organization in a way previous HK officers failed to do, usually at the cost of their lives. The problem is, when you’re hanging out with old childhood acquaintances, and they end up being somewhat decent human beings with a sense of brotherhood and honor, the lines between right and wrong can blur. That’s the essential conflict Wei Shen endures as his moral compass wavers during his time as an undercover officer in Hong Kong. Like Hong Kong cinema itself, there’s nothing particularly original about the plotting of Sleeping Dogs. This is a gangster-centric tale, similar to the sort told over and over again in Grand Theft Auto or Mafia games. What separates it is the locale—only Yakuza is a serious competitor—and the obvious Hong Kong cinematic heritage the game is inspired by. For fans of HK cinema, the one thing that’s most surprising is that United Front gets it. The loyalties, the sense of family, the camaraderie all have the “authentic” feel of something from a chop-socky or Triad shoot ‘em up. It’s not complicated, but it’s earnest, and ultimately wins over the audience. Some may be expecting that because Sleeping Dogs is an open world game set in Asia, this is basically going to be a Yakuza game with Chinese characters instead of Japanese. This would be incorrect. 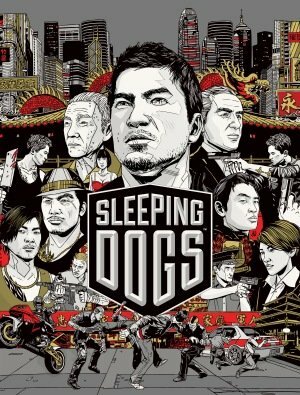 Sleeping Dogs has much more in common with games like Grand Theft Auto and Saints Row than the mini-game obsessed Yakuza series, which focuses on a small area, and packs it with an improbable level of activities. Sleeping Dogs has four main areas, loose recreations of the same areas in Hong Kong though by no means geographically accurate. Northpoint is more a working class, residential area, though still very much with a crowded, downtown feel. Central is the finance and entertainment district, while Aberdeen and Kennedy round out the roster with more harbor and upper class residential feels respectively. From the get-go each area is open to you, there’s no gradual access to the world. 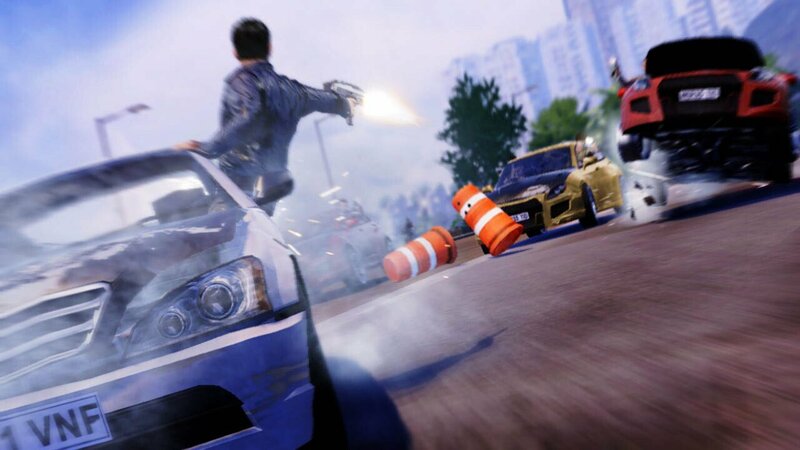 Sleeping Dogs operates much like you’d expect from an open world game. There’s an overarching story, and there’s a wealth of collectibles, side-quests (here called “favors”) and mini-games to play. Food and drink also offer buffs to the player, so while you may have never given much thought to Chinese herbal tea before, the fact that it offers a damage reduction stat buff will make it a required part of your diet in virtual Hong Kong. To read Wayne’s full review of Sleeping Dogs pick up the August/September issue of Comics & Gaming Magazine coming soon to Zinio and a newsstand near you.